The best of both worlds - A condo community made up of primarily Single family homes is the highly desirable 55+ community of The Mainlands. The well maintained 2 bedroom, 1 bath, 1 car garage Baldwin model was designed for an additional bathroom if desired, see Floor Plan. An open Living Room/Dining Room combination, spacious Master Bedroom with a walk-in closet. Carpet flooring in Living room, Florida Room, Dining area, Guest & Master Bedroom, and ceramic tile in the Kitchen and Bathroom. Updated windows and storm shutters for peace of mind while you are away. Newer stove, dishwasher, Electrical panel, Lighting in the Kitchen and bathroom and a Water Softening unit is available. The garage holds the Laundry area and Hot Water Heater and Extra storage shelving. In addition to the usual items covered by the condo association, Unit 3 also deals with the Roof! Mainlands of Tamarac, offers a variety of social activities. Each unit has it's own clubhouse; however as a resident you may attend any of the clubhouses activities. Community amenities include heated in-ground pool, shuffleboard courts, and a public 18 hole golf course. Pets are welcome, 2 pets allowed weighing no more than 40 lbs each. 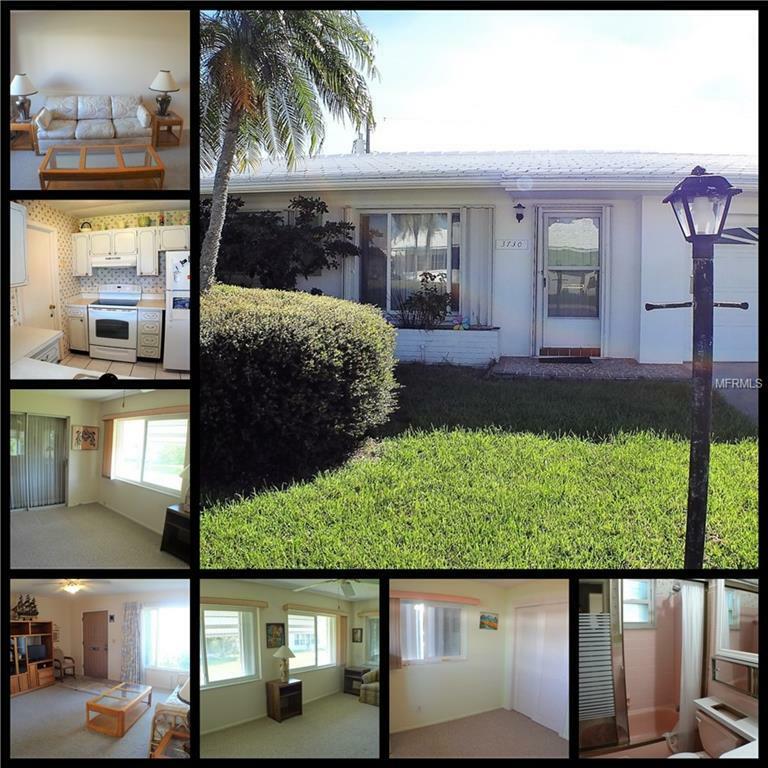 A well run and maintained community located in the heart of Pinellas County with convenient access to restaurants, Parkside mall, banks, grocery stores, gulf beaches, interstate, and two airports. Hurry, schedule a showing today! Furnishings available.